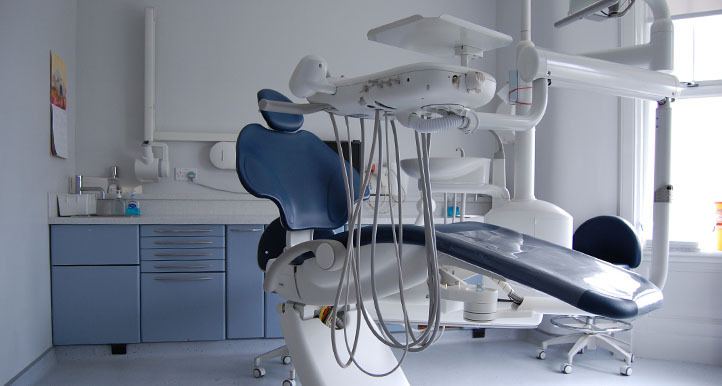 The project involved remodelling the entire ground floor accommodation of an established Dental Practice, in order to create a fully DDA compliant layout and X-Ray room while also creating a modern and efficient working environment. 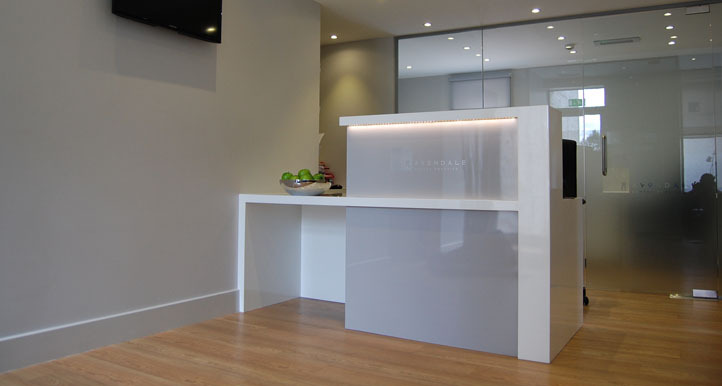 The Client desired a bright and pleasant atmosphere that would be enjoyed & appreciated by both staff and the patients, better reflecting the practice’s aspirational ethos and the high levels of dental care provided. The remodelling works involved substantial structural alterations to the ground floor layout in order to comply with DDA requirements such as disabled access, hallway widths, door opening sizes and the provision of a disabled toilet on ground floor. 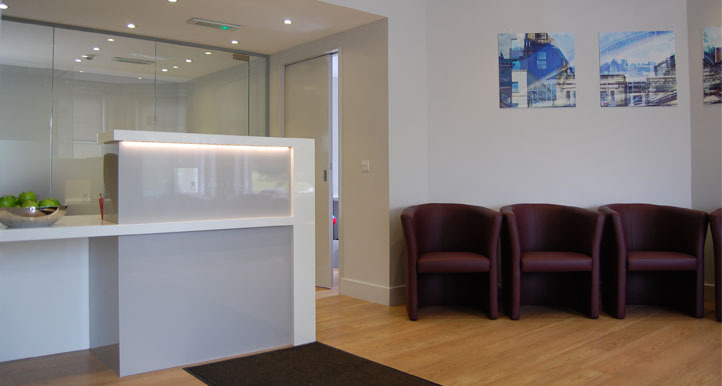 At the same time the layout was reconfigured in order to improve the patient experience and the functional operation of the practice, opening up what was previously a dark and cramped series of rooms while also providing additional much required accommodation and storage. 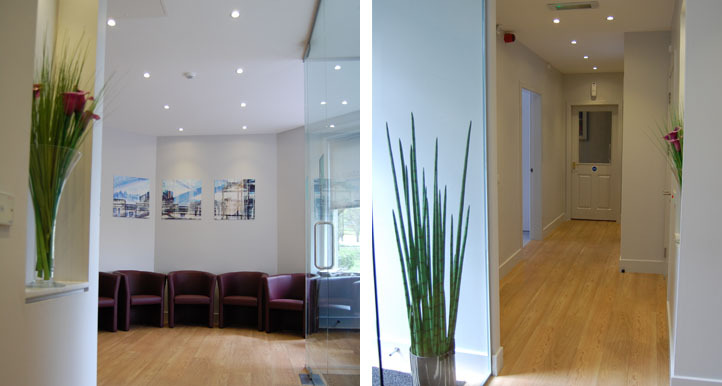 A major challenge in this project was the Client’s requirement that the practice remained operational with the least possible disruption while carrying out all the necessary refurbishment works to the ground floor. This meant closing the practice down for a period of 2 weeks when all structural works were undertaken, while also preparing the first floor of practice to be able to continue functioning during the remainder of the remodelling.